Finally there has been an agreement reached in the longstanding class action case against many pet food companies, and pet owners affected by the pet food recall. In 2007, pet food contaminated with melamine and cyanuric acid affected thousands of dogs and cats in North America. These toxins were added to artificially boost measured protein levels of the food. The side effect was kidney disease, kidney failure and death in thousands of pets. The exact number varies. The U.S. Food and Drug Administration received reports of approximately 8500 animal deaths, who have died after eating contaminated food as of 11 April, 2007. The number of pets affected by chronic renal failure as a result of the poisoning is still unknown, but one article suspected another 30,000 dogs and cats. Over 150 brands of pet food were affected – touching every major pet food company. The defendants collectively have agreed to create a twenty-four million dollar (US $24,000,000.00) cash Settlement Fund from which eligible consumers and/or pet owners may receive a cash payment for up to 100% of all documented economic damages they incurred related to their purchase of or their pet’s consumption of the Recalled Pet Food Products subject to certain limitations described in the FAQs. Economic damage means the expenses you incurred related to your purchase or your pet’s consumption of the Recalled Pet Food Products, including but not limited to veterinary screening or treatment bills, expenses related to your pet’s illness and/or death, and other expenses such as lost wages and property damage. As up to 40,000 pets were affected, 24 million is extremely small and inadequate. When I do the math, that works out to a paltry $600 per pet. Hardly fair for someone losing a member of their family, or having to deal with a pet that died much earlier than expected from chronic kidney failure. The costs associated treating a pet with kidney failure can run in to the thousands. And how to you put a price on the loss of the member of your family? Well it appears that these pet food corporations have put a price. This flies in the face of their advertising- How many times have your seen ‘feel good’ commercials of dogs and cats being hugely valued members of your family. And the message you get is if you see your pet as a member of your family, why wouldn’t you choose to feed them our ‘supposed’ best food. Price should be no object. Unless of course the food becomes contaminates, harms your animal, and there is a large class action law suit. Clearly the lawyers for the pet food companies were well paid, and did their job…this is a small drop in the bucket for these conglomerates. 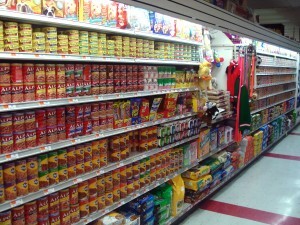 Packaged Facts estimates that US retail sales of petfood totaled US$18.4 billion in 2010, up 2.8% over 2009 sales. This was a very poor settlement- and hardly fair in any way. If you were affected by the pet contamination, I am sorry for your and your pets. Clearly you deserved much better than this. P.S. Please leave a comment. what more can you expect? the pet food companies don’t care about the pets, they care about their bottom line. i’m surprised they even required this much. it’s a sad and disgusting settlement for those who lost beloved pets. had my dogs been affected, there would have been a lot more than what happened in the class action. The lawyers, as usual, are the only ones that profit. Purebred dogs cost a lot more than what was given, and I would have sued them for the cost of the dog, every vet visit, every class I took, every trial I entered, and my time for caring for them. That’s why I monitor what the dogs eat, and make my own treats. When my first dog developed MVD, I contacted Guelph vet school and got them to send their year long nutrition course to another college and took it there…… and I have been making my own treats and selling them to happy owners whose dogs won’t eat anything but my treats. I agree with you Dr. Jones. $600 is a paltry sum and would barely cover the cost of having one’s pet euthanized and returned to the owner in a keepsake. I was fortunate enough to not lose a pet because of this, but I can empathize with all those who did. Class actions are BS..individuals get pittance and class action law firms make out like bandits. That being said, the bottom line is that it behooves you to become an educated consumer..and that includes medical and veterinary services. I think it should be mandatory to list all ingredients and also any and all countries where food is made and/or processed. The best way to deal with these profiteers is to put them out of business. Since the recalls, I have been making my pets food, altlhough I do have some Fromms or Innova on hand. I agree with Heather. Put them out of business – make your own food at home. My dog is battling bladder cancer. She was diagnosed in 2008 and given six months to live. So together with my vet and MY research online and making changes in her food and administering natural remedies, etc., she proved us all wrong. She is also on your Ultimate Canine formula. We need to take charge of our pets and stop feeding inferior food. Pet food is big business. Big business is big money. Big money is greed, greed, greed! That’s the way it is. Those of us who love our pets as much as we love our children don’t really stand a chance against a big company and their lawyers. It would never be fair. I lost a pet to kidney disease and I know how he suffered. There’s no amount of money that can make that right. Losing him still hurts and I miss him every day. No aamount of money could ever replace him. My Japanese Spitz died On June 20 06 from kidney failure from eating recalled food. At six yrs of age I spent almost $7000 in vets fees. I tried to have a kidney transplant for him but all the universities have quit doing them. He was a blue ribbon winner in all shows and best in show most times. Most of all he was like my child. I had documented proof on all bills plus the cost of another of his blood line Of $5500 including shipping. They said it was too much and only paid me $4000. We make our own dog food now and will never buy commercial food again. I also own a Samoyed,A American Eskimo and a Jack Russell Terrier. I got them later so theyre all healthy. Just terrible. The poor dogs and cats who suffered needlessly not to mention the pet parents who lost a beloved member of the family. This is very sad. I too now make my German Shepherds food at home. I do have some Wellness brand on hand though. It is a big task cooking for a 110 pound Shepherd but well worth it knowing exactly what is in the food. I agree. 24 million is nothing for the pet food companies. Is such a business. I have multiple cats and dogs, all of them rescued and it has taken me a long time to find a good pet food that I can afford. Thanks to you I can keep all my pets with me. My vet was telling me that I had to do this or that and if I didn´t do it I was putting at risck the health of my pets. Well…my oldest dog is 11 and he is very healthy, no more shots….nor pesticides…..he is running like a puppy and jumping. He looks much better now than when I got him 8 years ago. I found two dogs in the road 3 years ago, one of them with terrible hips and knees. The vet told me that he needed hip replacement (5,000 per leg) or that I would have to put him down soon. I could not afford that and I did not want to put him down so I did a lot of research and instead of the pills the vet told me to give him I started to give him garlic. He can play catch. He can go for walks….and he is doing great. Of course I can see that he is not like the other dogs but he has a good life….and I did not have to pay 10,000 dollars. Sorry I am sharing too much. It is just a lot of frustration with vets and pet food companies…..
Money is the root of all evil. I think that says it all. That’s all those companies care about, not about the pet owner who had to have their pet put down because of their cutting corners to make more money. They don’t care about the little boy or girl who were heart broken over the loos of their pet and how they greived. They don’t care about the parents who had to watch their child greiving while they themselves grieved the loss of their pet. I did have the list of the pet foods that were recalled but cannot seem to locate it. If anyone has the list of pet foods that were recalled in 2007 I would really appreciate if you would post it. Settlement payments won’t bring them back. I am not interested in the money. I want my pet back. Don’t forget, I am an animal, too! I need proper food as much as the animals do. Our pets couldn’t defend themselves and neither will I if I died from either immediate, short, or long term food poisoning. When it comes to raw survival, there is no room for lawyers, food processers, health/vet services, and toxic farming practices. The way I look at it if I wouldn’t eat the food then I won’t feed it to my dogs. Not to say I routinely eat dog food as i don’t but if the ingredients are full of fillers/meals and grains its a given that it isn’t good for your pet. I heartily agree this is not enough compensation and the big business of dog food companies like those in this suit truly don’t care one bit about your pet. They just see an option to make money where the unsuspecting public fall prey to their advertising. This pay off is just an expense of doing business as far as they are concerned. I don’t do grocery is a website that tells it all. 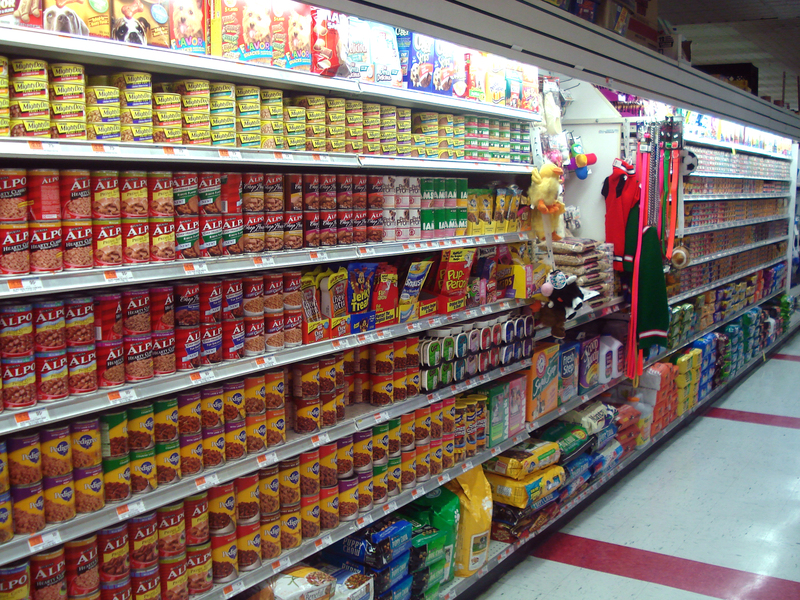 You can’t buy dog and cat foods in your grocery store and expect them to be good. As a rule only get your pet food from reputable pet stores who have staff who know what each brand has to offer and why its good or not. Do your own research and comparisons , every food out there likely has a website that you can go to and read whats in the food. If there are grains especially corn /corn meal,corn starch etc etc…stay away. You are only giving your pet the ingredients for internal and external issues galore by feeding such products to them. Be an informed consumer and advocate the best for your dog or cat. So sad for all those who lost a pet during this disaster. I agree that this settlement is totally inadequate, in light of the number of pet food manufacturers involved and the damages caused. One factor to consider, as well, is that the source of the contaminated ingredients is Mainland China. These ingredients were adulterated with melamine and cyanuric acid to boost the testable protein levels and as a result, make unreasonable profits as an exporter. Why aren’t the regulatory agencies forcing those manufacturers to fund this settlement, at least, and disallow the Chinese from exporting these ingredients, at best. We need to keep our business at home under our own control. I agree with Dr.Jones! How do you put a price on a much loved member of the family who is no longer with us! $600 is nothing! I think it’s appalling that they would offer so little. I am one of the blessed whose cats were not involved with this recall and happily I have all my family members with me. I would be insensed beyond reason if it were the other way around! My heart goes out to all those people that lost their pet children, it is terrible, and I agree with all the comments. Thank goodness I stay in South Africa, but it could happen here too. A long way from the compensation that should be paid. If you really want to be sure of what you feed your pet- make your own. In the long run its much cheaper and you know what they are eating. A $600 average per pet is highly insulting. Sir , I could not agree with you more. The best way to go is home cooked meals, Ifeed my two Huskies only what I cook my self. Stay away from anything OUT OF CHINA. In South Africa you will be lucky if the same componies will be taken to court. $600 average per pet is indeed highly insulting. Luckily my babies were not affected by the recall, but it did make me reconsider their diet. I make most of their food now. AND I NEVER PURCHASE ANY FORM OR TYPE OF FOOD FROM CHINA for any member of my family. Many years ago my animal companion, Axel, began to suffer from various life threatening ailments. cardiomyopathy, hypothyroidism, and finally tumors of the spinal column. One of the vets involved in diagnosing and treating Axel had trained in Ireland. She said that the diseases she saw here in the USA were very uncommon in Great Britain and that it was also uncommon, at that time,for people to buy commercial pet food. Her thinking was that the home cooked food people in Great Britain prepared routinely for their companions was providing nourishment that was balanced,strengthening and healing and as commercial food became more commonly available the incidence of disease would begin to rise. $600 is really an insulting amount of money to be offered by companies that profit from providing a barely adequate source of nutrition. But – we humans suffer also from the same abuse -pseudofood marketed as real food by companies who only care about their profit margins – not the health and welfare of those who purchase their products. My pack is raw fed as I will never ever support these companies manufacturing “crapple”. My daughters Labrador suffered kidney damage due to the tainted food(in South Africa)this well known company offered to pay to feed her a special kidney diet until she died. Very little compensation,what about all the vet bills that had to be settled? $600 compensation is an absolute insult!!! Not a very adequate settlement for those who lost their pets. My heart goes out to them all, I can’t imagine losing one of my fur kids thinking I was feeding them a good diet. I no longer trust these companies. What brand names are we talking about? My English Bulldog died prematurely and it was never determined why her kidneys shut down. I would appreciate your actually naming the companies involved. Calling them “Pet food Companies” doesen’t tell me who was to blame. I don’t think that they should be forgiven so easily and that all pet owners should boycott their current products. We should all show compassion to those who were harmed by helping to put these companie out of busness! It’s a shame these companys think about the profit and not about the pets. Money is the root of all evil as the Bible states. They will have to answer to a higher power and thats not anyone on earth. I don’t know how they can sleep at night just knowing how many pets has been taken out of this world, these 4 paws babies are like our children It makes me sick when people say they are just an animal. It might be an to them but to us its our 4 paws furbabies. Thank goodness my pets were not affected, I use raw homemade, dehydrated raw and a Canadian brand of kibble on occassion. I do feel that animals suffered needlessly due the greed of some food companies to try to make that extra $ by buying ingredients they did not have tested before buying. The owners of these pets had to watch in vain as their pets suffered and NO this will never compensate their losses. Of course it’s not enough – I lost one of my dogs in this mess just before it was publicized – which means it was going on before they caught it. How many others are uncounted? Animal food companies/ mills are the result of finding profit in food production byproducts. And because of this episode, we search for human and animal food without imported [China particularly] ingredients…. In most cases, companion animals are legally worse off than livestock. My horses are likely better protected than my dogs re: food / drug anomalies. Regardless, my pups are as priceless as my feline and equine companions. Isn’t this true when suing on behalf of pets? Whether it’s a large company or an individual, the courts don’t recognize the value of our pets, who truly are members of our families. And hasn’t the cost of veterinary care become almost comparable to our own human medical care ??? $600 just doesn’t cut it in my book, either. The courts need to stop seeing our pets as just ‘property’. My pets were luckily spared this atrocity, since I don’t buy any of the foods that were recalled. My hearts go out to the people who lost their ‘kids’, and laws need to change so this NEVER happens again !! Still, NO amount of money will ever replace those lost, but the pet food industry might think twice if they a forced to pay large settlements. In response to Judi Conigliaro. You are a first class pet owner. You truly love your dog with all your heart. In response to the settlement. This is pathetic. I lost my beloved dalmation a year ago this past September, she was 16. I would tell them to keep their lousy money, this just adds insult to loss. There is no amount of money I would have taken for my “Splatter”. This is Just a slap in the face to these poor parents who lost their loved ones. These companies SHOULD be embarrassed. I believe in karma, karma will come back at them!! I agree with everyone that $600 is a pathetic offer of compensation for the grief and also the guilt an affected pet owner must feel in such a case. My (rescue) dogs have each in their turn been like a child and also a teacher to me. My first dog had kidney failure but that was my fault as I didn’t know then that grapes were poisonous for dogs. My dog gets me out in the fresh air, meeting people, helping my blood pressure stay steady and is a reason for getting up in the morning. I inherited a cat three years’ ago so now I have two reasons for keeping going. how much medicine am I saving the NHS in the UK? I wish I knew – but then that would be just more drugs from unscruplous profit machines. Has anyone in government or the pet food manufacturers association thought about banning these substances from ALL food, not just pet food? I think melamine was found in babies milk substitute from China a few years’ ago. It seems like the ‘nanny’ state is just not working. Several years ago this amount would not even have been given. When Merrick caused all of the deaths in California several years ago I was affected by the loss of a whole litter of puppies and 4 adult dogs – we spent several thousands of dollars in vet bills additionally. The Federal Judge threw out the suit. When I personally spoke to the nasty Mr. Merrick his comment is “it’s only a dog”. Great comment from a guy who is rich because people buy his products. One thing people forget in the estimate of per person is that the attorney’s get about 50% before any distribution to those who sustained losses. You have to change the law first or pet food companies will never step up to the plate. I think I may have been affected if I had not changed my dog’s food when he continued to vomit. I may have fed him the tainted food for a short time, I don’t remember how long. I know I had him to the vet at least twice and the vet gave him pills to settle his stomach. When I changed his food, the vomiting stopped. My trainer from Paws With a Cause had a fit. Eukanuba was the best dog food and he didn’t need to have it changed. I disagreed and changed to Life’s Abundance after doing extensive research online. From what I read dogs could develop allergies to food they had eaten for years, contrary to what the trainer told me. I assumed at the time it was an allergy, but looking back, I now think it maay have been the early signs of poisoning from the contaminated food. I’m glad I caught it. food. I can imagine how the whole thing works in terms of lobby with money, just because the vets feel so offended with my strong and constant distrust in commercial food. Besides, Jade hates and refuses to eat any kind of food that is cooked by myself. And so she is healthy, and we are happy, and it is a great pleasure to cook for her. Isn’t it true that Canadian pet food contains INGREDIENTS that are from CHINA?? Just because the label on bag or can says “Made in..” USA or Canada, does not indicate total absence of toxins. it only means that the factory where all the junk is assembled and baked happens to be on this continent. Often many different brands use the same processing factory facility and equipment (without proper cleaning between runs). So how can one be any better than the next? I had an elderly human friend, able to talk sensibly during her last days of life, who said she was in horrible agony due to kidney failure. So there you have it: what is being done to these poor silently suffering dogs is not a profit making joke, it is a mortal sin. And we hear that some of the WORST foods are the brands sold by vets. To Buddy Cousatte, first of all I am really sorry for all that you and your dog went through. It is really sad. Please can you tell me how do you prepare the dog food? My cat was on Science Diet (MD). I assumed food from a vet would be safe. Learning experience. I don’t eat products produced in China and don’t want my pets to eat that either. Fortunately, my food was not contaminated and my cat is fine. That did lead me to do better research about pet food – during the course of which I found Dr. Jones site. Just wanted to say thanks – as a cat owner, I really appreciate your sharing your knowledge with us. Yup, when you do the math it does indeed add up to a paltry $600 per pet. And how much do the lawyers get out of that?? 40%? 50%? So in reality, grieving pet owners who have in all likelihood shelled out hundreds or thousands of dollars each might, IF they quality get approximately $300 for their pain, suffering and economic loss. How fair is that? And it sounds as if the only compensation will be for vet and food costs. No compensation for pain and suffering because pets are not considered family members under the law, they are considered property. How very sad and inadequate. I wonder how many of these litigants from the pet food industry own pets? I wonder if they would consider this settlement fair? Something needs to change here.